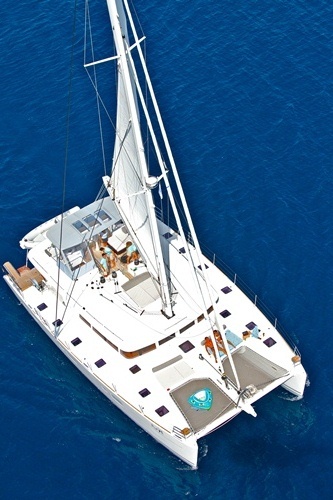 The Lagoon 62 catamaran NOVA is a popular and ideal yacht for luxury crewed charter in the exotic Eastern Mediterranean. 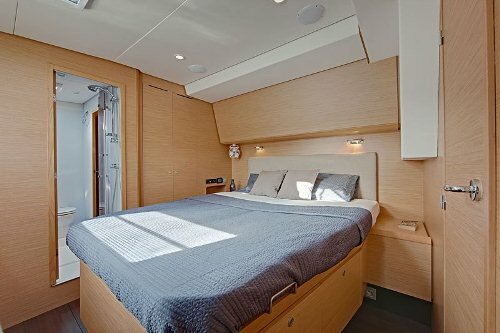 Sailing yacht NOVA was designed by the French company VPLP (Van Peteghem - Lauriot Prévost) Yacht design and launched in 2011 by CNB shipyard, the yacht measures 19.8m (65ft) and can accommodate up to 8 guests in 4 en-suite cabins. 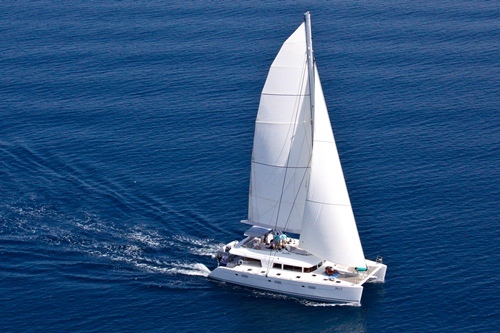 She is impeccably maintained by a professional crew of 3. 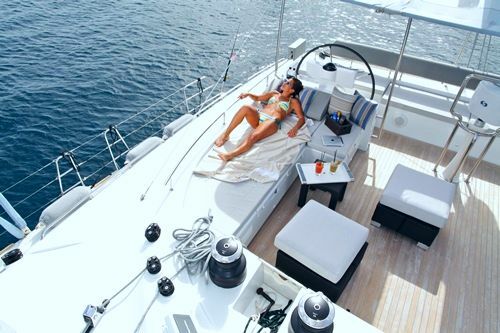 Charter yacht NOVA has a sloop rig, with over 2,575 square feet of canvas, when not under sail she is powered by 2 Volvo 150hp engines with an average speed of 8 – 10 knots. 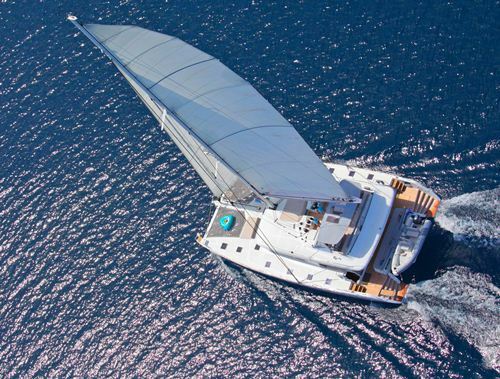 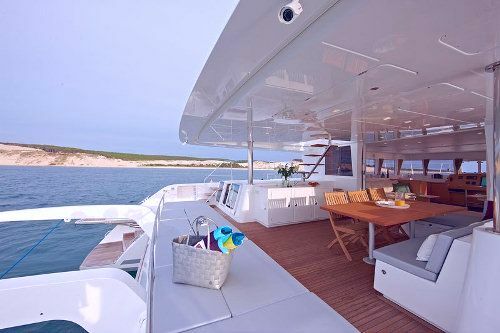 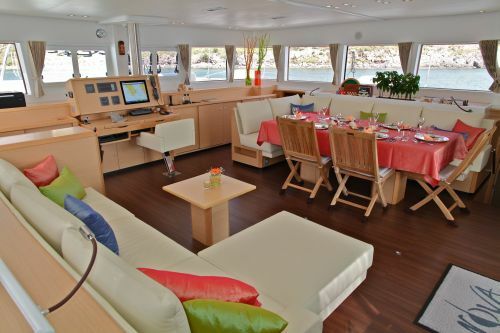 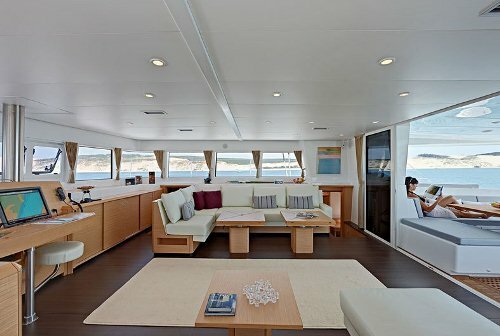 Luxury sailing catamaran NOVA boasts 4 en-suite cabins for up to 8 guests. 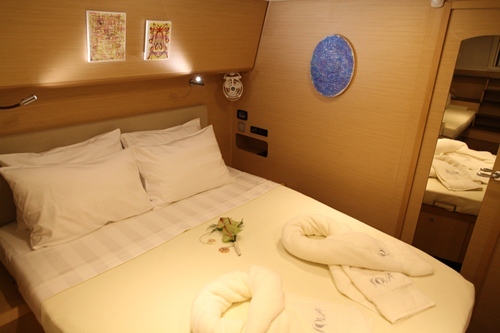 The master suite is aft on the starboard side and features a king size bed, vanity, private lounge with sofa and private optional entrance. 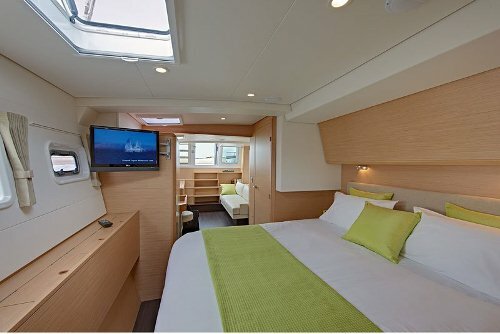 Two guest cabins are forward on port and starboard with queen size beds and vanities. 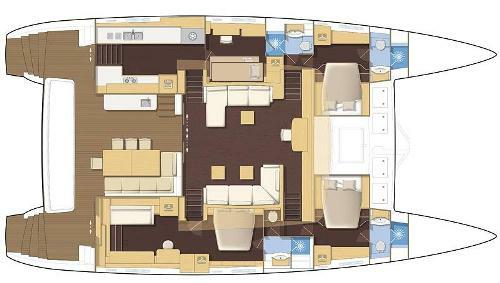 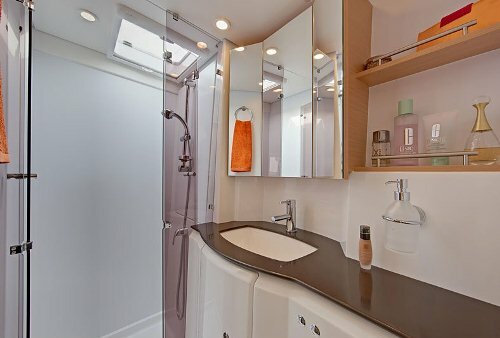 A further guest cabin is aft of the port side offering 2 upper and lower single beds and vanity. 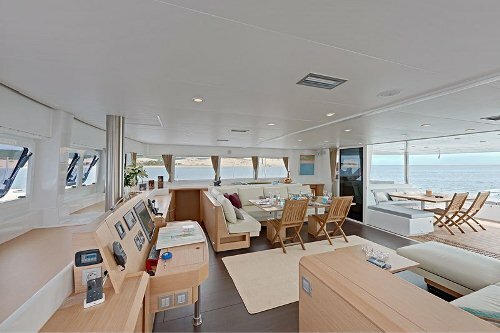 Each cabin receives ample natural light thanks to the one way glass panels in the hull, port lights and overhead hatches. 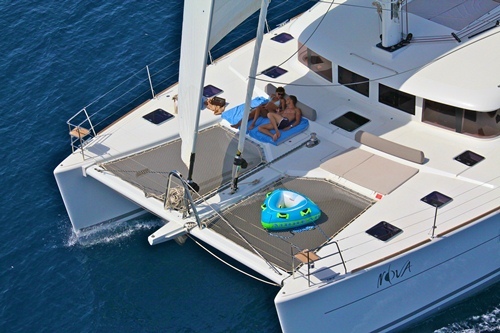 Tenders + toys onboard the NOVA catamaran include a 4,70 m dinghy with 60 HP outboard Yamaha engine, Snorkelling equipment, Fishing rods, Kayak - Tube, Water skiing, Wind-surf.